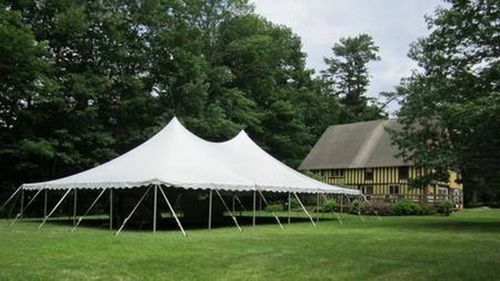 Main Home front lawn perfect for outdoor ceremony. 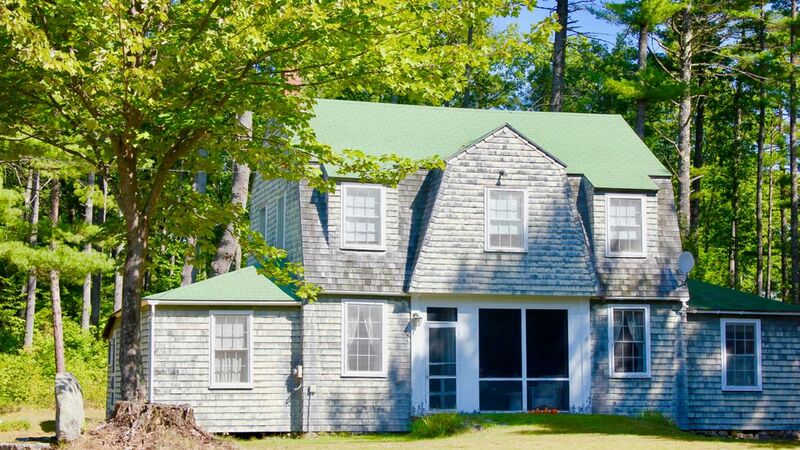 Carriage House - Guest house available for rent (see home rental section below). View of main home from carriage house. 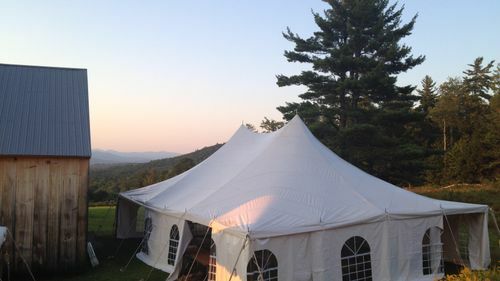 Flat area for tented reception. Freshly planted grass growing on tented reception site. 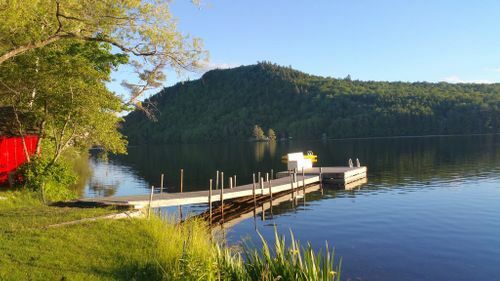 view of cottage from parking area. View of trees on lawn. Guest cottage. Perfect for one half of the wedding party before the big day. Clear blue skies on surrounding Green Hills. Fire-pit associated with tent site. Private semi-permanent tent site available to rent upon request. 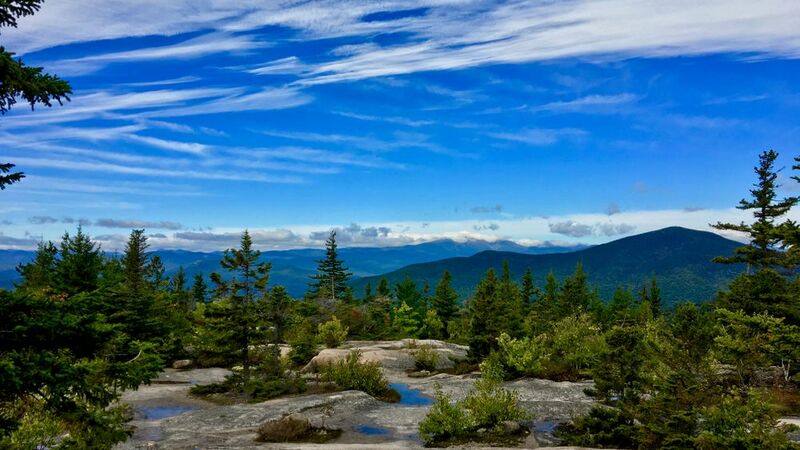 With over 30 acres bordering the White Mountain National Forest, Chatham Acres is just 1.5 hours from Portland, Maine, and offers easy access to breathtaking hikes, waterfalls, swimming holes, and natural pools. Once home to the Boston Cooking School, the property is steeped in history becoming famous following the 1896 publication of “The Boston Cooking School Cook Book” by Fannie Merritt Farmer. 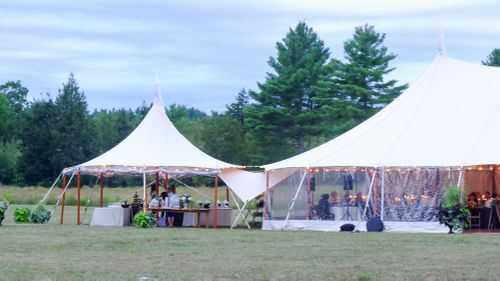 Today, couples can rent both the Guest Home and Guest Cottage for the weekend, choose to get married on the porch or off the corner of the orchard, and celebrate by setting up a custom tented reception. 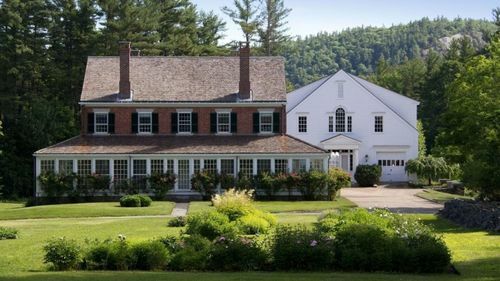 With plenty of lawn parking on the opposite side of the house, guests can come early and walk the grounds while snacking on the property’s blueberry and blackberry bushes, or pulling a crisp apple from the small on-site orchard. Kitchen Access - Available for staging and prep or residential use. 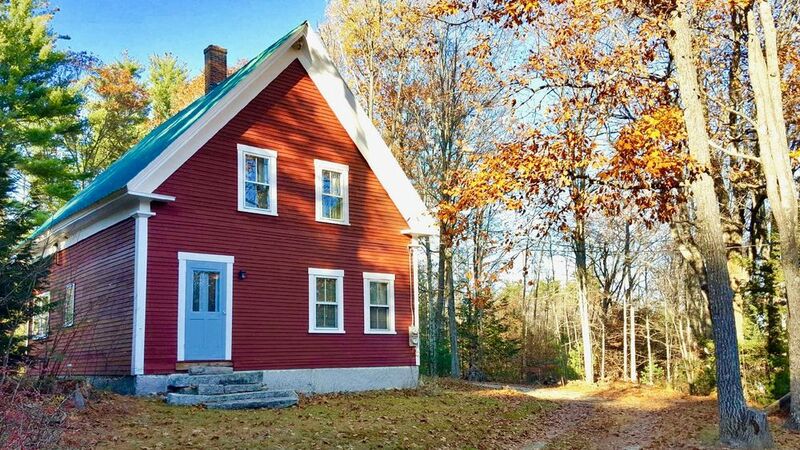 Stay for the weekend and rent the 4 bedroom Carriage House ($295/night)and 3 bedroom Guest Cottage ($200/night) for up to 13 guests. With a great front porch and screened in front room, the Carriage house offers a cozy-chic vibe for half of the wedding party leading up to the big day. Offer the Guest Cottage to the other half of the wedding party and uphold tradition by keeping the two parties separate until the ceremonial vows. Wooden deck off of semi-permanent camp site. Complete with deck chairs, cooler and speakers. Complimentary bikes for weekend use included in home rental. Semi-permanent camp site. Up to 6 guests authorized on site. Alternate view of tent site. Suitable for cooking and drinking; hose hook-up available for flushable restroom trailers. Tentrr Site available for additional fee. Dry camping authorized for additional $25.00/person. Open Flame Policy: Possible upon request; requires applicable permits from local fire department.